The title of this post says it all. That’s just a glimpse of what the Galaxy Note 7 is going to be. 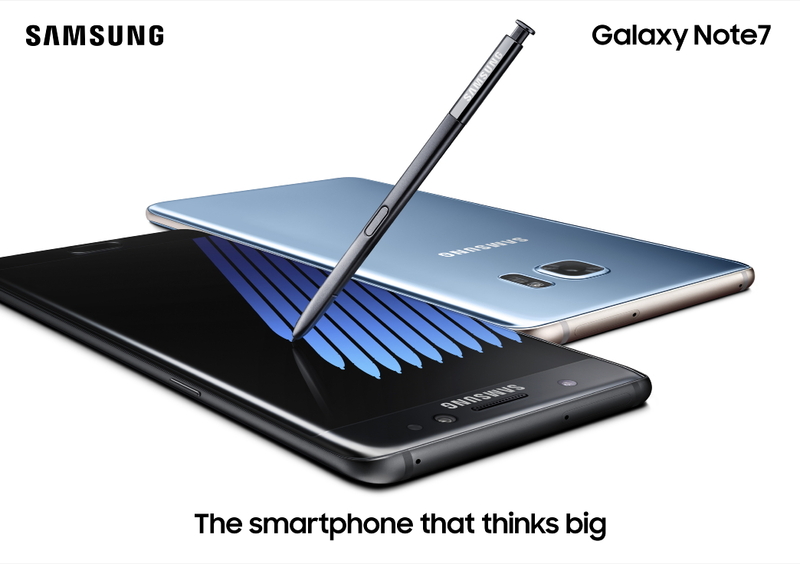 In their special event in New York, Samsung today launched the all new monstrous Galaxy Note 7 packing amazing specifications. The Galaxy Note 7 will be offered in Blue Coral, Gold Platinum, Silver Titanium and Black Onyx. 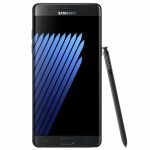 Samsung calls the Galaxy Note 7 the “Most Intelligent Smartphone”. That’s a very bold claim, and we will have to test the phone to see how good it really is. At first glance it seems like a super charged Galaxy S7 Edge, and in one way it is true, but in many ways it’s more than that especially because of the extra additions it has. 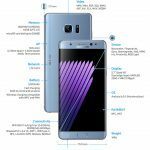 The Galaxy Note 7 is packing a 5.7″ QHD Super AMOLED display with dual edges just like the Galaxy S7 Edge and the device is protected with Gorilla Glass 5 at the front and back. It has a metal frame around it and it gets better because the Galaxy Note 7 is the First Note to be IP68 Dust and Water Resistant. The Galaxy Note 7 is among the first mobile displays to feature HDR support which is a feature borrowed from 4K TVs that allows the screen to show more colors and scenes with very high contrast. The Galaxy Note 7 is powered by a Snapdragon 820 chipset or an Exynos 8890 (depends on region), has 4GB of RAM and 64GB storage. You get a microSD slot as well, but UFS cards are not yet supported. We get one feature we didn’t get with the Galaxy S7 Edge on the Galaxy Note 7, and that’s the much awaited USB Type-C port. It supports fast charging and fast wireless charging too. The battery powering the Note 7 us a 3500mAh battery. 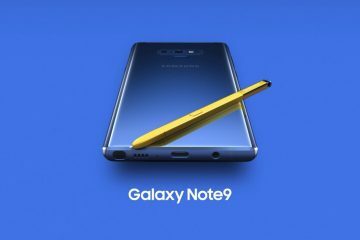 The Galaxy Note is the Note because of the S-Pen. 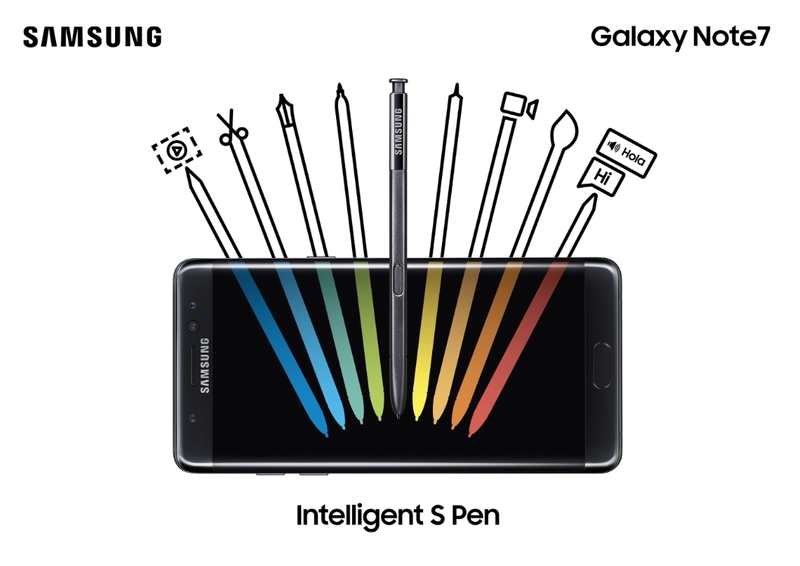 This time with the Galaxy Note 7, the The S Pen promises a ballpoint pen-like experience. The stylus can leave notes on the Always on screen. Believe it or not, the S-Pen can write underwater too. And it can write underwater! The Note 7 also includes a text magnifying glass, a translate tool, even a GIF creator built in. Samsung has made the Galaxy Note 7 pretty secure too. 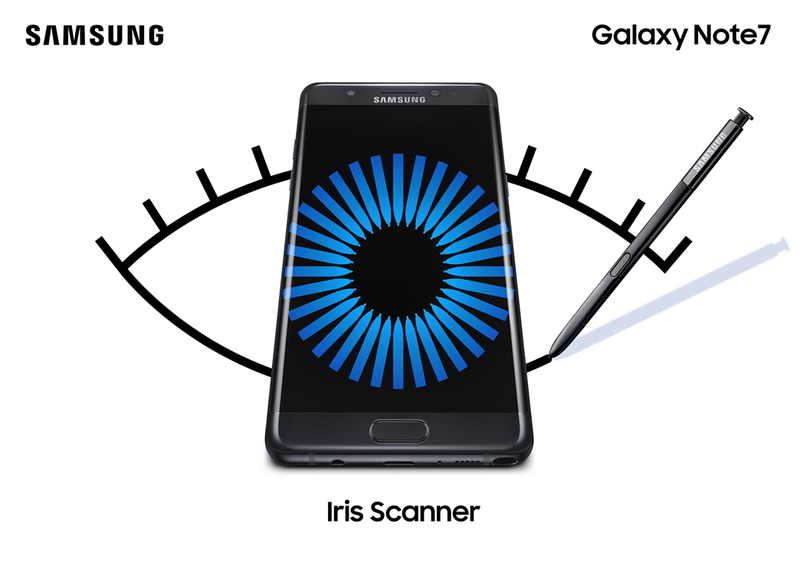 It adds an iris scanner too. It is exciting and cool as it sounds. Soon, it will be able to replace the fingerprint reader as the way to secure Samsung Pay, Knox and your personal files (hidden in the Secure folder). You can still use the fingerprint reader too. 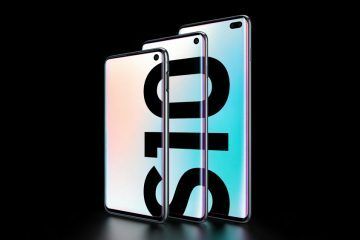 Both will be available to third-party apps through Samsung Pass. The same 12MP dual-pixel camera from the Galaxy S7 is back. That’s a really good thing because even till today that is my favourite camera out there, and in my Review of the Galaxy S7 Edge I called it the “Best Smartphone Camera” as well. It features a bright f/1.7 aperture and OIS and can record 2160p video. On the front is the same 5MP Selfie shooter. The all new Galaxy Note 7 is running on Android 6.0 Marshmallow with Touchwiz on top with Samsung’s own customizations and improvements. 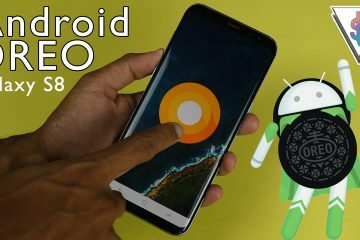 We should get an update to Android Nougat soon after launch. 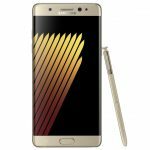 The Samsung Galaxy Note 7 will go on pre-order tomorrow, August 3. Sales officially start on August 19 in the US. 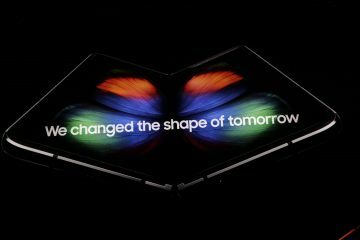 No information about International availability yet, but I’m sure Samsung will be quick to put it out in other regions too. 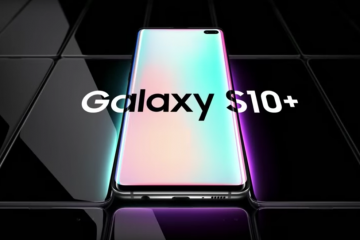 It will be priced similar to the other Samsung Flagships. So what do you think about the all new Galaxy Note 7? It just looks like a killer smartphone. 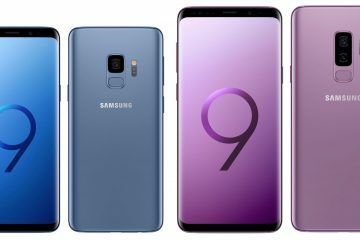 How many of you are planning to get one? Don’t forget to share the awesome news with your friends. Stay tuned to Andro Dollar for the latest!